Our real estate agency presents a wide selection of holiday villas and country houses in Siena and in Tuscany - villas with swimming pool, villas in the Tuscan countryside and ancient farmhouses. Piazza del Campo, the Torre del Mangia and the Palio attract every year thousands of tourists to Siena. Once a fierce opponent of Florence, Siena is extremely rich in art and history and is famous for its cuisine, its cakes and biscuits and for the wines produced in the surrounding countryside. Find the accommodation for your next holidays in the gorgeous Sienese countryside among the holiday country houses in Siena we have selected for you in this page and in our website. 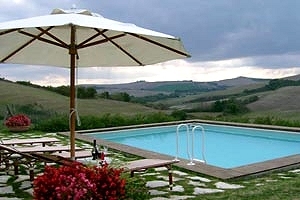 Rent a country house in Siena for your next holidays in Tuscany.